It is not even 24 hours since they opened the Registration of Interest page for this particular device yesterday but yet, DiGi decided to announce this news anyway. The telco have confirmed that they will begin to take pre-orders for the newly announced Samsung Galaxy Note 3 starting from 18 September. They have also stated that the pre-orders will be done via DiGi’s website and have advised consumers to register for a myDiGi account to speed up the process later. Not to forget, plans and pricing for the device will be announced by DiGi on the same day as well. Meanwhile, there are still no news from other telcos regarding their own Samsung Galaxy Note 3 offerings or even any general release information about the device from Samsung Malaysia. Nevertheless, the Product Marketing Manager of Mobile Phone Division for Samsung Malaysia, Luke Au, have confirmed to us during IFA 2013 that the company will be launching the device in Malaysia on 25 September. 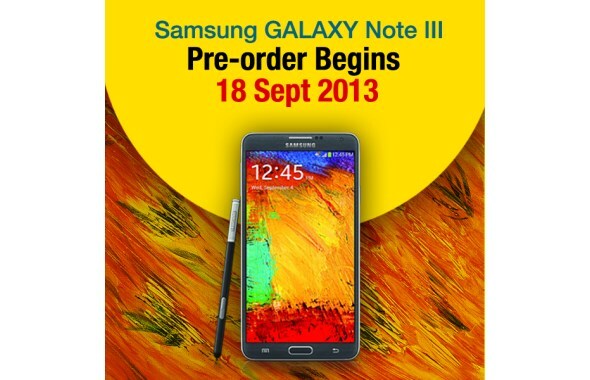 To learn more about the new Samsung Galaxy Note 3, check it out through these links: [Official Announcement] | [Hands-On @ IFA 2013] | [Demo @ Lowyat.TV].